All couples experience similar problems, but the key difference in those that are successful is the couple’s desire to grow, adapt to each other and cope. Couples will discover how to experience marital growth, how to develop their own marital coping system and even how to use anger and conflict in a creative way to actually build their marriage partnership. And you can do this by going on 10 great dates, and having fun with your partner. w/ Special Children's Activities & Easter Egg Hunt with prizes! Are you caring for an elder parent but don’t feel you have all the information or tools needed to handle it? You are not alone. Join with us for our Sunday "Life Strategy" Series as we address some of the concerns people have. This series is presented by Alzheimer’s of Orange County. As times have changed, more and more youth and children have become involved in social media. It is important that parents be informed of what their children might be doing or things they experience within the digital arena. This seminar, presented by author, Clayton Cranford, offers parents an opportunity to learn how to be involved and proactive in their child’s online life. Clayton Cranford is a Sergeant in a Southern California law enforcement agency and owner of Total Safety Solutions LLC. Clayton is one of the nation’s leading law enforcement educators on social media, child safety, and behavioral threat assessments. Clayton is the author of the definitive book on cyber safety for families, “Parenting in the Digital World.” He has also authored several articles for the Journal of School Safety and wrote the National School Resources Officer’s manual on Internet safety and cyber crimes. *To register online, please click on this link. Good Friday Service-April 19 at 7 pm "Why Did This Have to Happen?" UMW Rummage Sale is coming! Costume Parade Contest, Live Music and Trunk or Treat! Pony Rides, Petting Zoo and Dunk Tank! Carnival Games and Prizes and Craft Fair! Join us for the fun. Please find the flyer attached here. POTLUCK DINNER FOLLOWED BY THE NICAVANGELISTS IN CONCERT! Join us for a Potluck Dinner at 6:00pm in the Fellowship Hall following with The Nicavangelists who are a group of kids, teens and youth, whom after living on the street of Nicaragua-orphaned, rejected, abused, and fighting for survival, were brought in by Capital On The Edge, a non-profit organization. Bringing these at-risk youth from the streets into a talent-development program, they formed this group bringing “CREATED” to production. CREATED is a story of hope realized. CREATED utilizes many different genres of music, from acid jazz, to heavy metal, punk rock, classical chartered hits and of course, Latino music. Dance genres include Nicaraguan folk dancing, salsa, bachata, bboy, tricking (gymnastics) and modern. The Nicavangelists area trained to be a great example and to lead others in the troupe. Older youths teach the younger and everybody works together in order to realize their goals. Yorba Linda United Methodist Church would like to announce the first of their free "Concert on the Lawn Series" featuring The Brandon Wildish Band. Come and join us on July 8th at 6:00 pm at 19002 Yorba Linda Blvd., Yorba Linda, CA 92886. Bring your lawn chairs of blankets, picnic dinner, and non-alcoholic beverages, and enjoy an evening of great music. For additional information please call (714) 777-2885. Saturday, June 9th, our team will once again participate in a fundraiser for the National Parkinson’s Foundation. Show your support by giving a donation as well as purchasing a T-Shirt and coming out for the walk in Costa Mesa. Registration begins at 9:00 a.m. at the Segerstrom Center for the Arts in Costa Mesa and the walk kicks-off at 10:30 a.m. For more information, please contact the church office or visit their website. 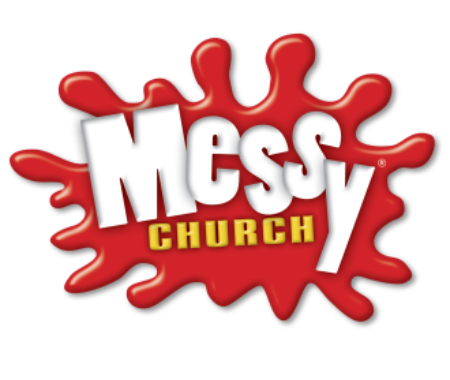 Family fun for all ages with Interactive Games, Crafts, Songs, Bible Story and more...& dinner will be served! & Pentecost Cupcakes you decorate!! Prizes for all kids in attendance! Our Lenten Study will meet every Wednesday through Lent at 2:00pm beginning February 21st, Room 10. Join us! The Missions Team has pledged to provide a special Easter basket for 200 of these children. WE CAN DO THIS! We need your help! You may make a donation that will contribute to this project. Checks can be written to YLUMC, with “Project Dignity-Easter Baskets” in the memo. Please put your donation in the collection basket, or drop off at the church office. We will be collecting donations on Sunday Services: Feb. 25th, March 4th, 11th, & 18th. Or you may want to donate an item to include in the Easter baskets, please contact me. We will be assembling baskets on Sunday, March 25th following Sunday Service in the Fellowship Hall. We welcome those who may be able to help in assembly of the baskets, and wrapping to prepare them for their delivery on this day. Family Ministry invites married couples in all stages of life to enjoy our monthly Date Nights. First date, February 17th at 4:30pm in Room 10. Free childcare until 7:30pm. Youth 6-12th grade will have youth group during this time. 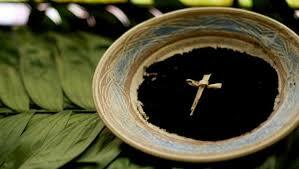 Join us as we begin the Lenten season with our Ash Wednesday service, February 14th at 7:00 PM in the Sanctuary. Let us keep a good Lent. If you are interested in becoming a member or learning more about the United Methodist Church, please join us. Register with the Church Office at ylumcoffice@ylumc.org. Light lunch will be provided. The UMW's annual Rummage Sale is coming! You may begin dropping off your donations on January 13th. The rummage sale is scheduled for Friday, January 19th andSaturday, January 20th. Watch for updates! Bookworms will meet Monday, January 15th. The book for discussion is My Grandmother Asked Me to Tell You She's Sorry by Fredrich Backman. The selection for February is 12 Tribes of Hattie by Ayana Mathis. Be with us on Christmas Eve to welcome the Christ child, the Light in the darkness, the Hope of the World! This service of carol-singing, candle-lighting and Holy Communion will gather us as the family of God to begin anew at the manger. Join us! Join us at 6:00 PM for a Special family-friendly Christmas Celebration! We will feature our Music Department with our Adult Ensemble, our Praise Band and our Bell Choir! Let us welcome the Christ Child into our hearts and our lives with song and praise! Join us on Sunday for an exciting and meaningful day as we await the birth of our Savior. At 10AM, our YLUMC children will present a musical retelling of the nativity in "One Starry Night." Then, from 6PM-8PM, our church will host a Living Nativity Display. Our community tradition is back to share the story of Christmas! See our youth & young adults portray the manger scene and the angels & shepherds in the field scene with live animals Plus, new this year, go behind the scenes and see our nativity set collection displayed in our sanctuary. Enjoy some hot cider and yummy cookies as you celebrate the real meaning of the season. Gifts for all the children who attend! Saturday, December 9th, 10:00am. Annual Christmas Luncheon! Join us for a reception in the Fellowship Hall.